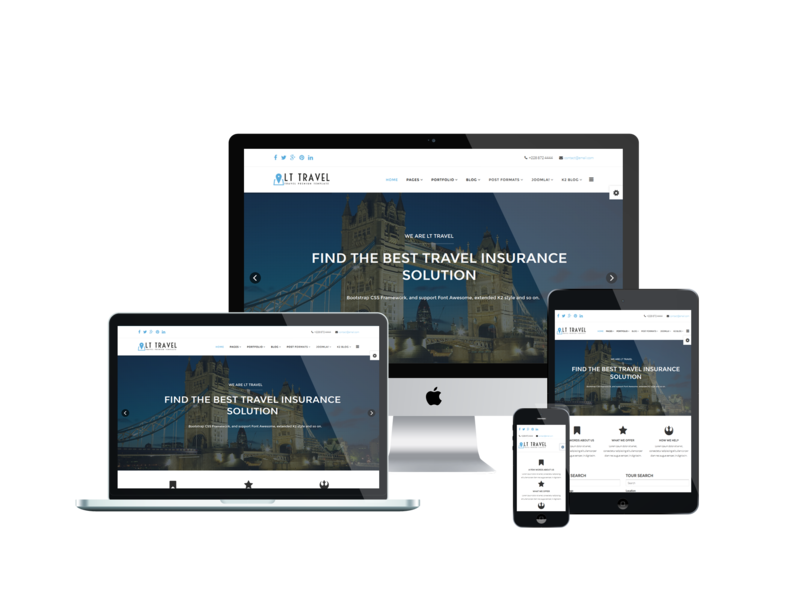 LT Travel Onepage is single page Joomla template of LT Travel Joomla template for accommodation business to showcase their service and facilities. This template support your site with 4 color styles, boxed & full-width layout and 4 background options for boxed layout. Besides, you can control layout easily with Page Builder support. Developed on the latest Bootstrap CSS, Font Awesome with unlimited position support along with many options from Helix in template setting, which will help your custom template with effortless. 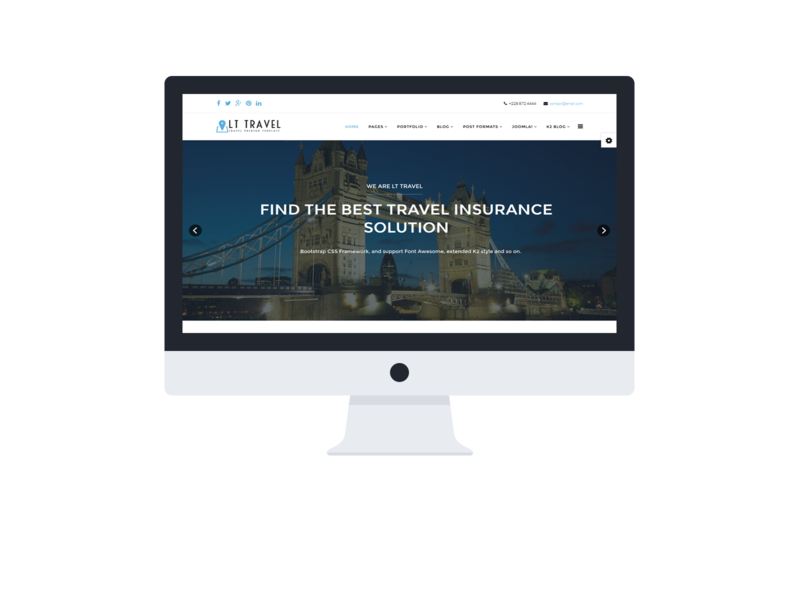 Make your site appearance brilliant now with LT Travel Onepage now! 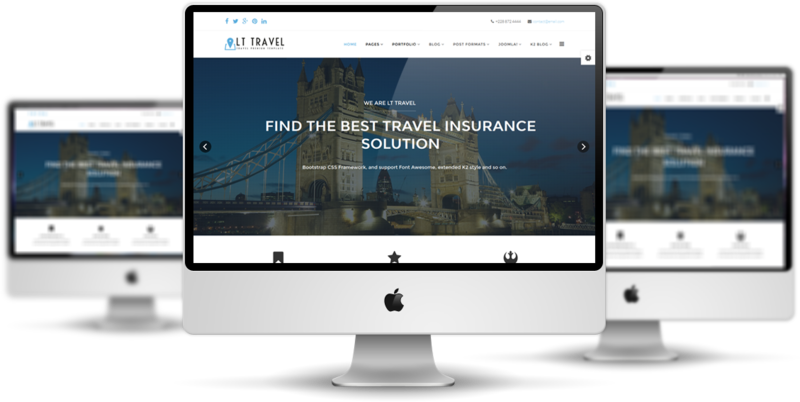 LT Travel Onepage supports mobile devices with responsive layout. The template framework with strong shortcodes, unlimited module positions, and easy to drag-drop layout content. 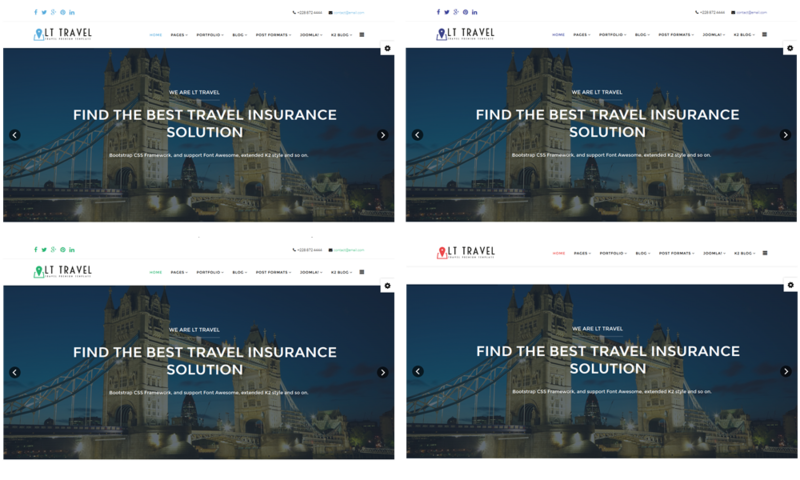 LT Travel Onepage builds with 4 color styles. If you like another color without 4 default color styles, you can change it via Template Settings easily with unlimited colors based on Color picker Tool.